If you aren’t diligent about your payroll process, you might want to start double-checking. According to a recent study, nearly half of all employees will begin searching for a new job after only two payroll malfunctions. While mistakes certainly can happen regardless of caution and preparation, here are a few ways that you can cut down on your chances of payroll mistakes—and their harsh consequences. To understand the necessity of preventing payroll errors, one must understand the inherent ramifications. While nearly half of employees in the aforementioned study opted to start searching for a new job after two payroll mistakes, 29 percent of men were ready to leave after only one. That’s not much of a margin for error. The reason that payroll is so important is twofold: first, employees need to be able to trust that they will receive their paychecks, complete and ready to go, on payday. Lack of trust in payroll accuracy fosters lack of trust in every other conceivable area, so avoid the distrust entirely by making sure that your employees get paid accurately and on time, every time. The second reason is that many employees live on a paycheck-to-paycheck basis. Failing to compensate these employees adequately and in a timely manner does more harm than simply brewing resentment and distrust; it can ruin their credit score, cause them to fall behind on their car payments, or result in eviction. As their employer, you’re ultimately responsible for all of this and more. The simplest way to prevent operator error is to ensure that the “operator” in question is a professional. Unless you or your current payroll manager is an expert in their field, consider outsourcing your payroll to a dedicated department. It will save you a lot of time and money, and the margin for error is much smaller when a specialist takes care of your books. This is also a great way to ensure that you have enough bandwidth throughout your respective workweek to monitor other factors that might play into payroll errors, including employees’ time-off requests, sick days, absences, and the like. If you stay on top of your end of the operation while an HR department handles the payroll, you’ll immediately cut down on the risk potential by an enormous factor. It’s totally understandable if you can’t afford to add an entire department to your staff. A much cheaper—and comparable—option is to invest in a payroll service. That way, you’re merely contracting out your payroll on a per-pay-period basis rather than hiring on an entire department, making this method easier on both your pocketbook and your space constraints. There are a couple of downsides to working with a payroll service instead of an HR department, but they’re less financially oriented and more based in your company’s culture; an HR department gets to know the employees with whom they work, whereas a payroll service tends to be strictly technical. This isn’t a deal-breaker by any means, but it’s something to consider when comparing the two venues. 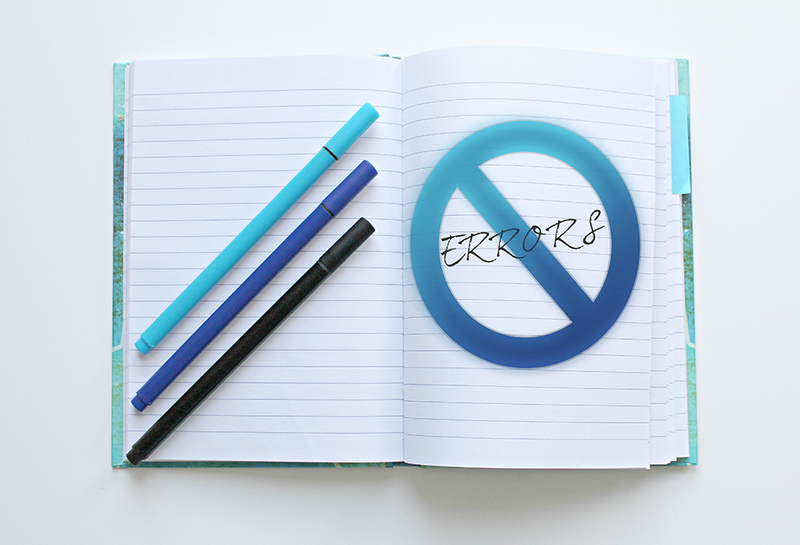 If you’re adamantly opposed to having anyone outside of the company taking care of your books, there are still a couple of ways that you can minimize error. Chief among them is making sure that your payroll software is up-to-date and running on modern computers. There are plenty of great payroll software options for you to choose from—don’t settle for Microsoft Excel 2007 on an old Windows XP computer. Keeping your payroll software up-to-date also means you stay away from noncompliance—one of the greater risks you want to avoid—and reduces the risk of a virus or attacker rendering your entire payroll database either useless or unsecure. Nothing will send employees packing faster than knowing that their personal information isn’t safe. Your employees’ collective wellbeing should be one of your highest motivators; however, there are purely materialistic benefits to implementing a payroll-saving strategy as well, the most obvious of which is a break in fees. Payroll penalties can be massive, and the federal repercussions for enough such fees are more than sufficient to put any small- or medium-sized business to bed. Neither you nor your employees will have a place to work if you rack up enough payroll mishaps. A second and less severe problem that you won’t run into with proper payroll management is the workload reduction. Payroll can take up a huge amount of time and energy in your weekly task list—why let it? As mentioned previously, there are plenty of different ways to employ experts in the payroll field, so don’t feel like you have to hand-make your own pasta if it isn’t your gift to do so. The company will run much smoother if you stick to the things that you know. Finally, having a payroll company or department act as a liaison between you and the federal powers that be is never a bad idea. Not only do they know exactly what to communicate it and how to do so, they also have the unique advantage of being up-to-date on the latest legislature and (ideally) any loopholes that you can use to your benefit. Let the pros do what they’re good at, and you’ll have plenty of time to handle the rest. Payroll is no one’s favorite part of owning a business, and it can quickly become overwhelming. Don’t risk making a costly mistake—call Abacus Payroll today at (856) 677-6225 today for more information on how you can optimize your company’s payroll process for good.